Montgomery College Television Arts & Humanities	 A gallery discussion of “Most Daring Dream”, a photographic exhibition about the 1968 Poor People’s Campaign, at the Morris and Gwendolyn Cafritz Foundation Arts Center on Montgomery College's Takoma Park/Silver Spring campus. 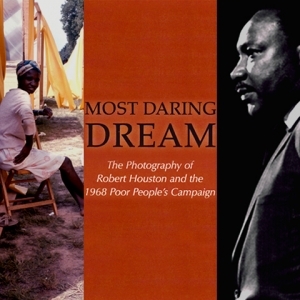 A gallery discussion of “Most Daring Dream”, a photographic exhibition about the 1968 Poor People’s Campaign, at the Morris and Gwendolyn Cafritz Foundation Arts Center on Montgomery College's Takoma Park/Silver Spring campus. Embed "Most Daring Dream" on your page.